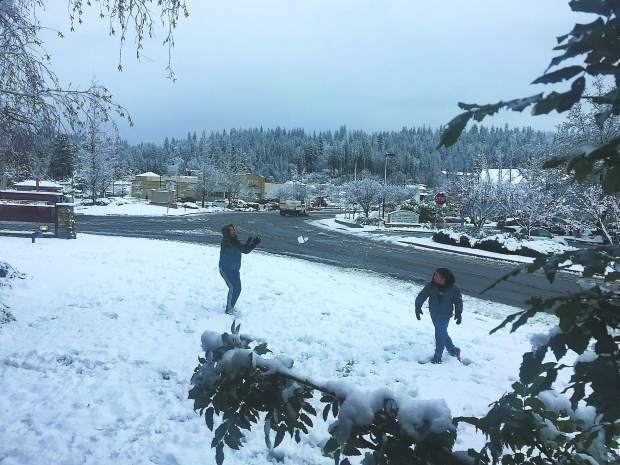 Nevada County Captures: Let it snow! 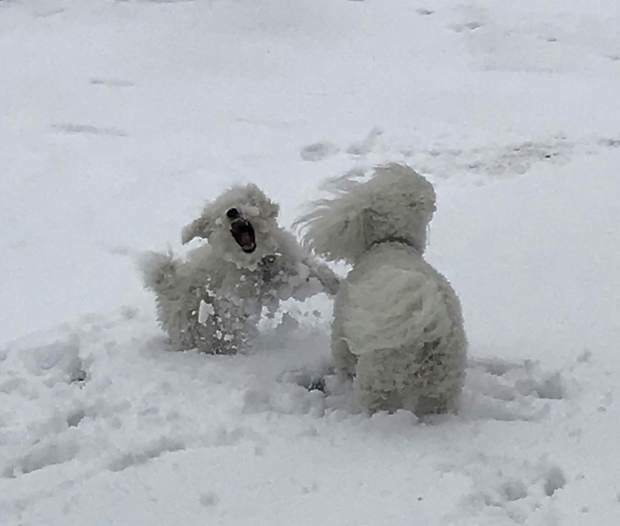 New puppy "Diva" and her first snow experience with her sister. 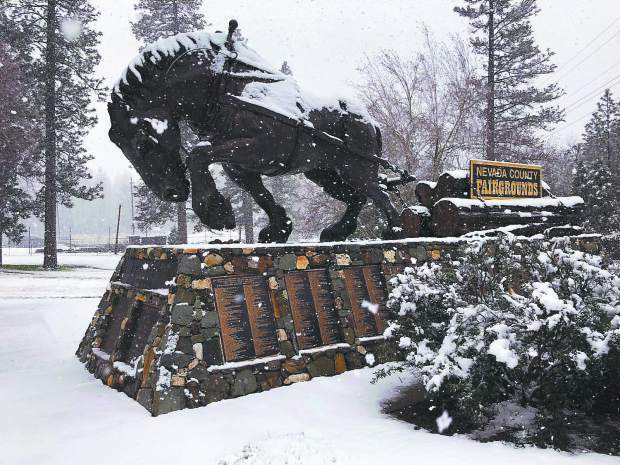 Statue at the Nevada County Fairgrounds on Monday. 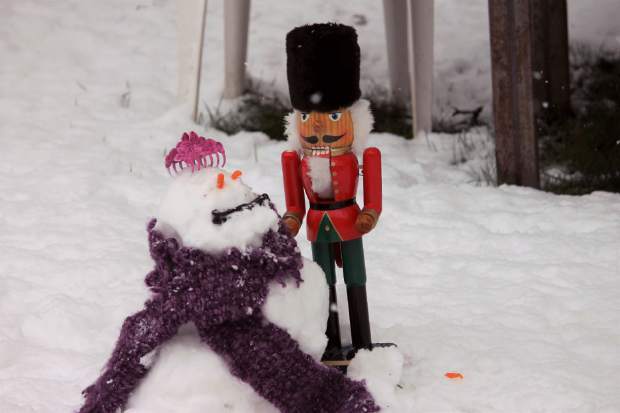 A school employee skiing to work at Union Hill School Monday. Snow day was called but some employees went to work to make sure everything is safe for kids to return. 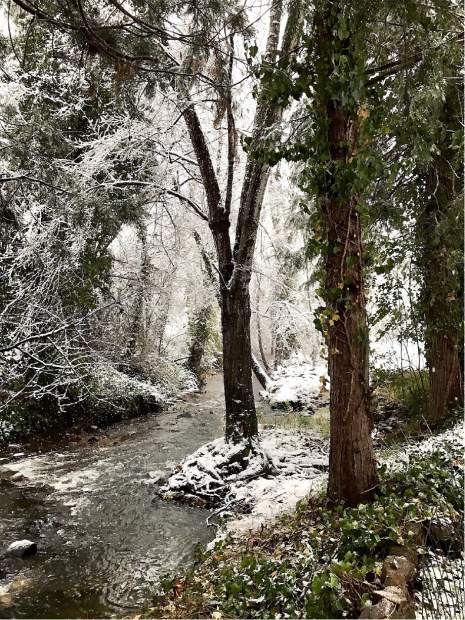 Mill Street in Grass Valley on the first snowy day of the season. 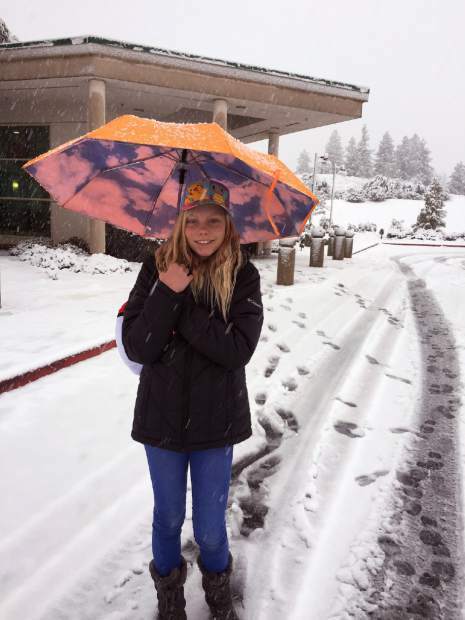 Isabella Ingalls enjoying the snow at the Sierra Memorial Hospital parking lot. 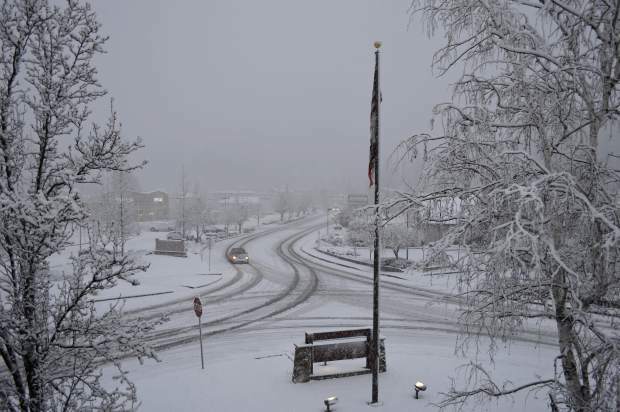 The Union's parking lot Monday morning. 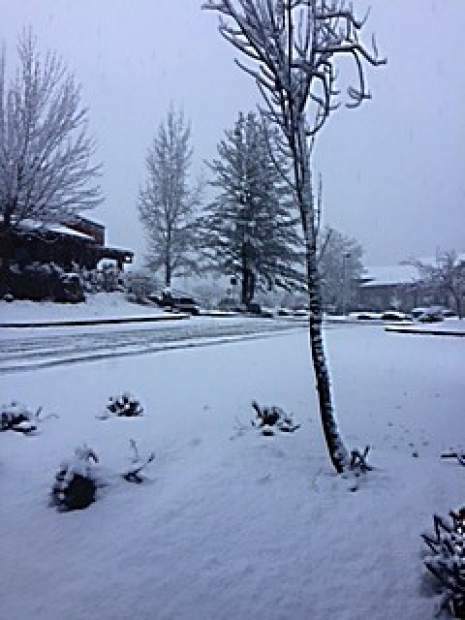 Snow scene off Bennett Street in Grass Valley. 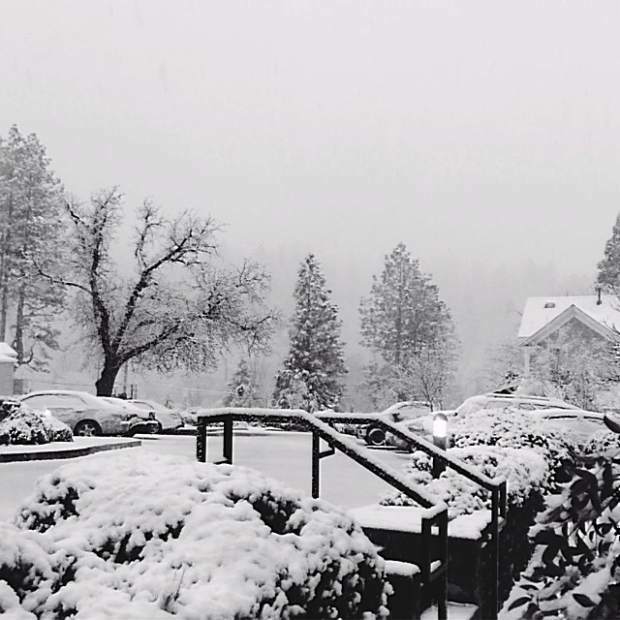 A shot of Sutton Way in Grass Valley Monday morning. Kaden and Quinn Neketin playing outside The Union Monday. 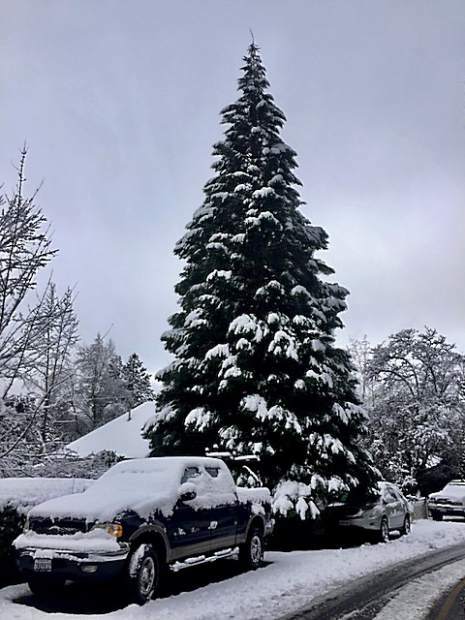 A redwood tree reaching high in the sky above a Nevada City home on Monday. 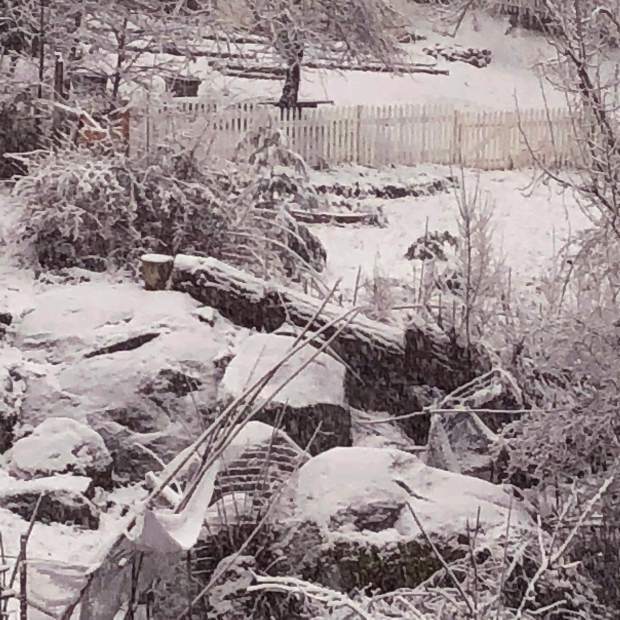 View of ravine behind a house on East Broad Monday morning. 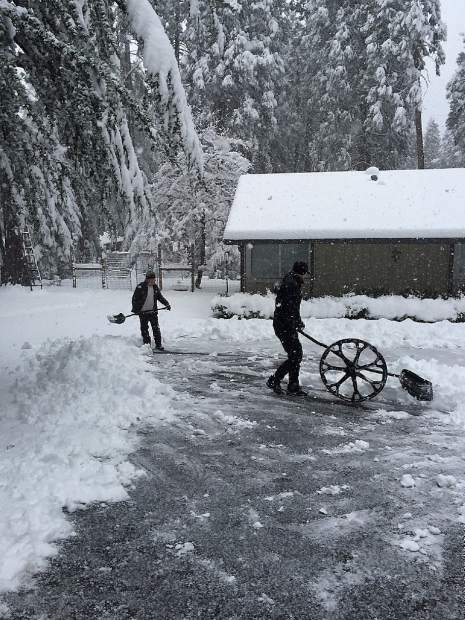 Local residents clearing the driveway of almost a foot of snow Monday morning. 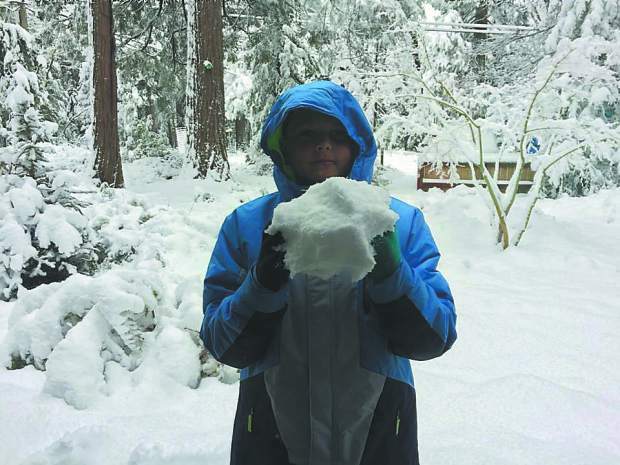 John Boucher, 11, enjoying his snow day Monday.